Stop Dreaming of Your New Home. Start Building It. Getting your dream home is more attainable than many people realize. Mansfield Custom Homes, LLC in Greenfield Center & Milton, New York handles new home construction projects. We build single-family, multi-family and multi-structure homes using the finest materials on the market. We'll communicate with you throughout every phase of your project to make sure we're building your dream home exactly the way you want. Call 518-222-5323 now to schedule your new home construction project. We work within a 60-mile radius of Greenfield Center. Call A Custom Home Builder in Greenfield Center, NY Today! Find out how you can design a one-of-a-kind home. Contact us today to discuss your ideas with a custom home builder in Greenfield Center & Milton, New York. Why choose Mansfield Custom Homes? 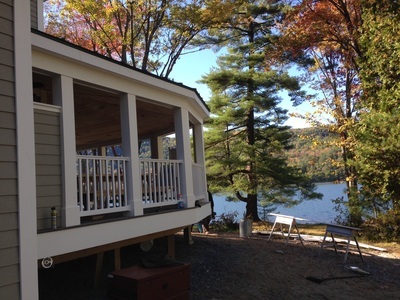 We've been creating custom, modular and prefab homes for over 10 years and counting. Our lead custom home builder has been working in the industry since 1999. While we get a lot of referrals from real estate agents, we also work with homeowners directly. We value your satisfaction above all else. You can count on us to make your dream home a reality. Reach out to us today to start designing your new house.